One of my favourite memories from my childhood was standing out in front of Windsor Castle watching the Changing of the Guard with my sister. I loved the colours, the music and the way the ground started to tremor as the guards marched closer. Taking my own children to watch was even more amazing. Seeing their little faces light up and watching them mimic the guards was priceless and I’d highly recommend it if you’ve not been already. Plus it’s free, and we all love a freebie! I think the best place to set up camp is on the High Street opposite the Queen Victoria statue (at the top of Peascod Street). The Changing of the Guard usually takes place at 11.00am and you should get there early as it does get pretty busy You’ll see them marching into the Castle at about 10.50am and then back out again at 11.25am. Times are subject to change so check online before you go. 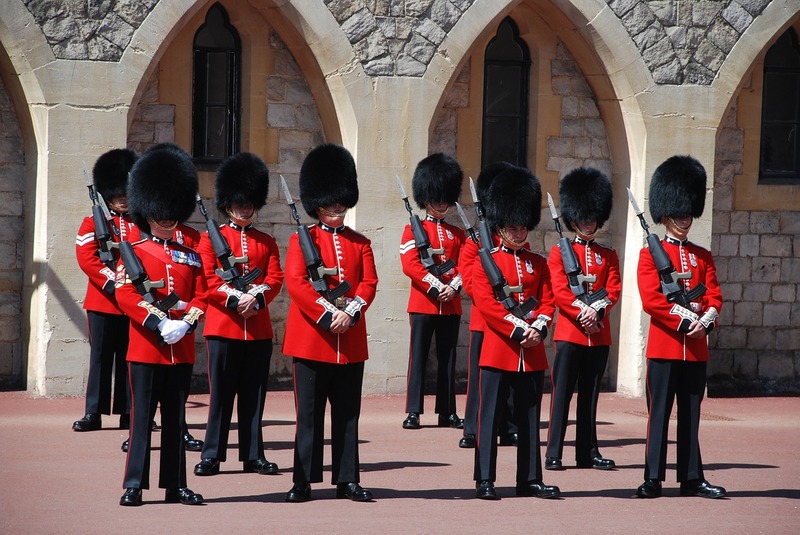 The Changing of the Guard is one of the highlights of a visit to Windsor. A band usually accompanies the Guards, although this is subject to weather conditions. The Guards can be watched as they march up the High Street and into the Castle, but to see the actual ‘changing’ ceremony you need to have paid to go into the Castle (click here to see my review of Windsor Castle). The Ceremony takes place outside the Guardroom in the Lower Ward of the Castle, except during Easter Court. To watch the Guards march up the High Street takes only 10 minutes; to watch the actual ceremony inside the Castle takes about 30 minutes. The Guard March takes place all year round, dependant on the weather, but never on a Sunday. For more information and to check times and details, click here. 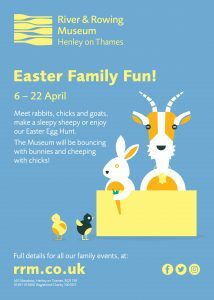 If you liked this recommendation we have loads more ideas for days out with the kiddies in Berkshire. For more information click here.